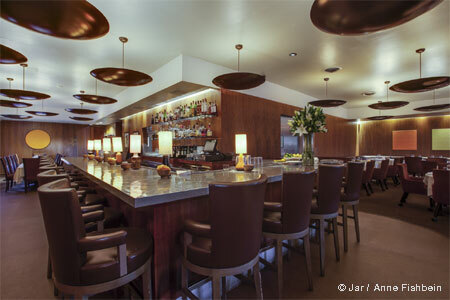 Harry Morton's Pink Taco offers Mexican cuisine in Westfield Century City. Go behind the scenes of Pink Taco restaurant! Watch our exclusive interview with executive chef Vernon Cardenas. : Harry Morton's Pink Taco chain started out in Las Vegas at the Hard Rock Hotel & Casino and has since expanded to Los Angeles. This location can be found on the upper level of Westfield Century City. The design is inspired by East L.A. cantinas and features low-rider bikes, rusted tin roofs and murals. 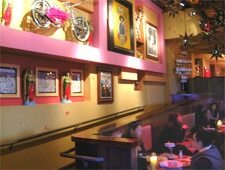 The menu features traditional items like tacos and enchiladas, as well as the chain's namesake pink tacos made with chicken, black beans, avocado, arbol salsa, cotija cheese and pickled onions. Also located at 8225 Sunset Blvd., Los Angeles, 323-380-7474.